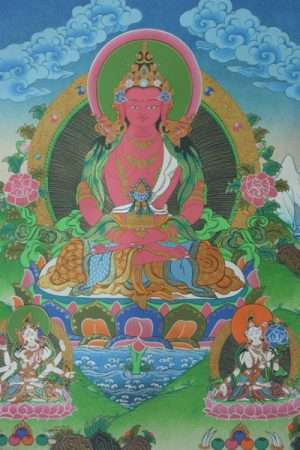 The 5 Buddha Thangkas of the Five families of Lotus, Karma, Buddha, Vajra and Jewel Buddhas. 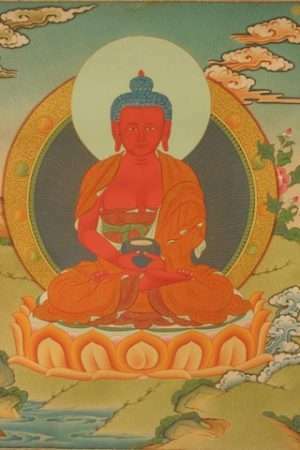 The Five Buddhas all are essentially aspects of just the one Primal Buddha.They are very important in Tantric Buddhism and Tibetan Buddhism. 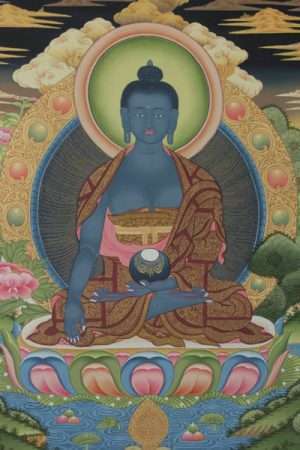 They often appear at the top of thangkas and in Buddhist Mandala form. 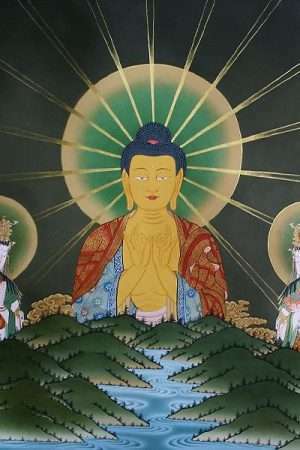 The five buddhas also appear individually as Amoghasiddhi, Amitabha, Vairocana, Ratnasambhava and Akshobya. 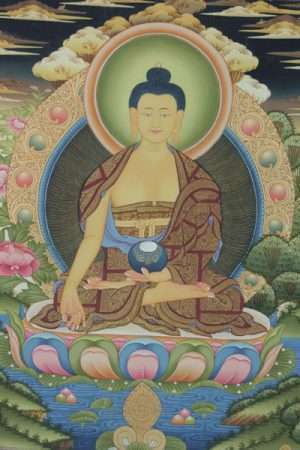 They are often present on Stupas. 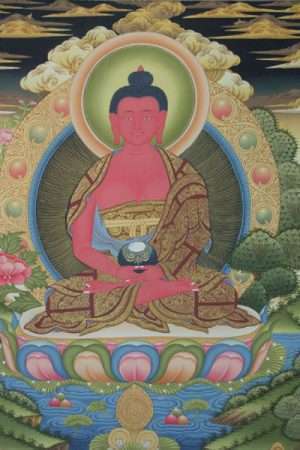 Mamaki for Ratnasambhava. 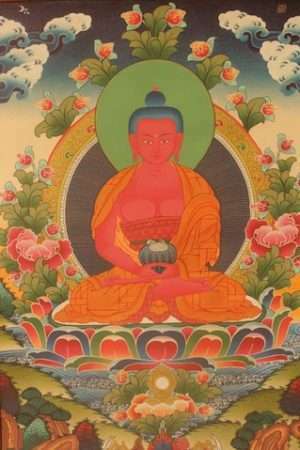 Locana for Akshobya. 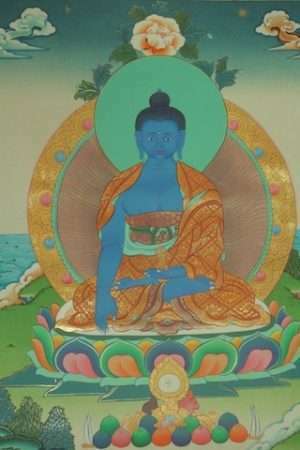 Tara for Amoghahasiddhi. 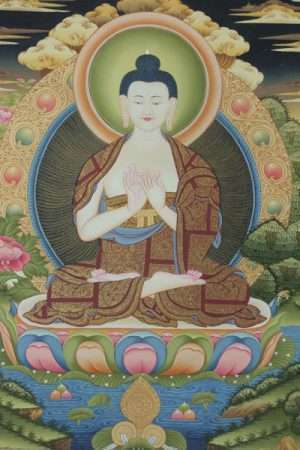 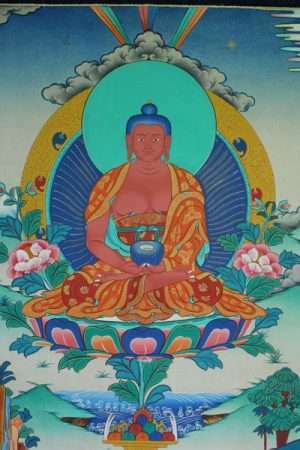 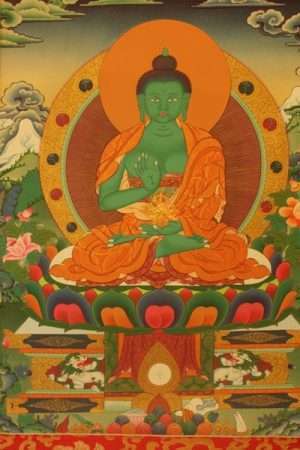 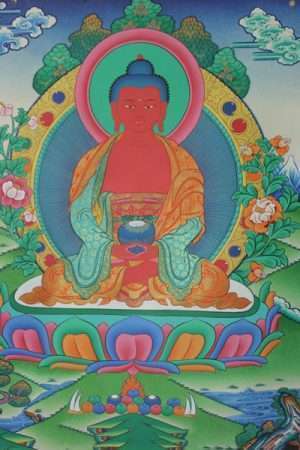 Pandaravasini for Amitabha. 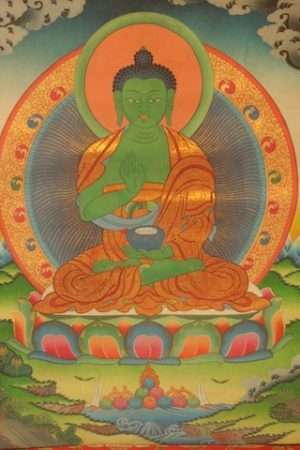 Akashaddhatesvari for Vairocana. 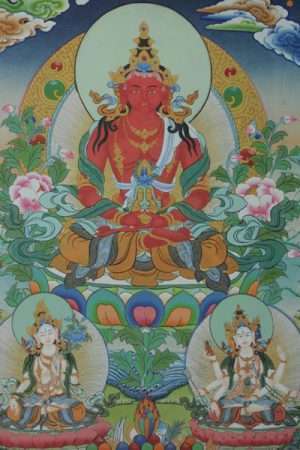 The Five Buddhas are seen in Buddhist Mandala thangkas. 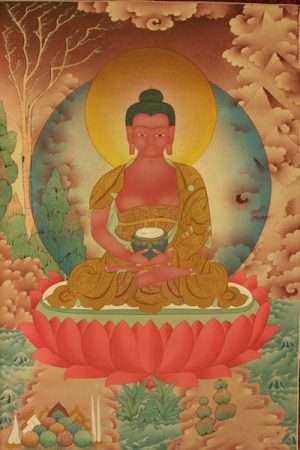 Each of the five Buddhas has many different forms of it own.